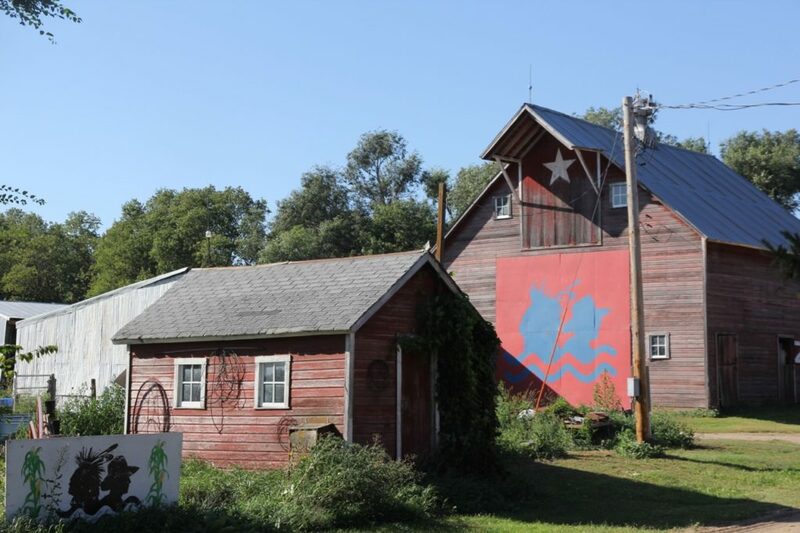 A few weeks ago, officials from the TransCanada Corporation drove two sets of wooden stakes, each fastened with about a yard of bright orange flagging tape, into the ground along two sides of Art Tanderup’s farm. But Tanderup, a retired school teacher whose Neligh, Nebraska farm sits right on the preferred route for the proposed Keystone XL pipeline, took TransCanada’s latest chess move in stride. Continue reading here. Photo by Twilight Greenaway: Signs commemorating a meeting of the Cowboy and Indian Alliance on the Tanderups’ farm in 2015. WHAT IS IT? The number of turbines that will produce electricity at the Sholes Wind Energy Center in northeast Nebraska. Instead of continuing to operate the aging plants, paying down remaining depreciation, or debt, a utility could instead issue bonds securitized by reliable future sales. Mayor Rahm Emanuel announced Sunday that the city is soliciting proposals to install ground-mounted solar panels at seven sites covering 30 acres of empty land. 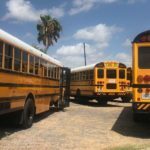 The program will target areas classified as brownfields, previously developed properties that have proven difficult to repurpose in part because of contamination issues. Dane County Executive Joe Parisi, joined by Madison Gas and Electric Chairman, President and CEO Jeff Keebler, announced a partnership to create the largest solar farm in Dane County and one of the largest solar projects in Wisconsin. A team of researchers from the University of Wisconsin-Madison and the King Abdullah University of Science and Technology in Saudi Arabia say they are developing a highly-efficient solar system which integrates photovoltaics, storage and energy delivery. With a measure signed by Gov. Jerry Brown, the state has made a new commitment of $800 million for clean-energy technologies including home storage. The goal is to capture electricity generated by solar panels during daylight hours to help keep the lights on after the sun goes down. The funds increase the state incentives set aside for energy storage to more than $1 billion. 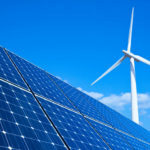 PV Magazine’s John Weaver looks at the bids in Connecticut’s new RFP, finding some interesting utility-scale solar projects. The latest SunCast episode syndicated by pv magazine features Abby Hopper’s opening remarks at the Solar Power International Conference. In the six months since the implementation of the section 201 tariffs, Americans have seen a $236.5 million tax on installing solar, according to EnergySage’s most recent Solar Marketplace Intel Report, which covers trends in the market from the second half of 2017 to the first half of 2018. Solar energy-produced electricity is poised to grow exponentially as solar panels get cheaper to install, more efficient batteries are developed to store the sun’s energy and investors pour more money into an increasingly reliable energy source. “They write bigger and bigger checks,” said Jesse Grossman, chairman and CEO of New Jersey-based Soltage, which develops and operates large solar farms for hospitals, municipalities, commercial and industrial clients in 15 states. With a new focus on both wind and solar energy, the Wind Energy Foundation has changed its name to the Wind Solar Alliance (WSA). The Solar Rights Alliance is only seven months old officially, but is already shaking things up in the California state capitol as a voice for PV system owners in policy. PRODUCT LAUNCH IN THE U.S. 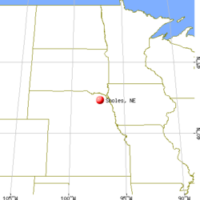 This entry was posted in Nebraska / Midwest News, NewsBlog, Solar Schools and tagged energy storage, microgrids, Nebraskans for Solar NewsBlog, renewable energy development, solar energy policy, solar hybrid, solar on brownfields, solar racking products that save time and money, solar schools initiatives on October 2, 2018 by Helen Deffenbacher.